Kiev’s decision to create a Ministry of Information is a clear threat to media freedom in Ukraine, said OSCE Representative on Freedom of the Media Dunja Mijatovic. The government’s plans have also sparked a wave of fury from journalists. “Ukraine’s initiative to create a Ministry of Information is a clear threat to media freedom, this is not the way to counter propaganda,” said Dunja Mijatovic on her Twitter account on Wednesday. Mijatovic also tweeted a link to an article called “Ukraine just created its own version of Orwell's 'Ministry of Truth’” citing the classic dystopian novel 1984. “In democracy, a ministry of information can never be an answer for anything related to media, free expression and safety of journos,” she wrote. The media watchdog of the Organization for Security and Co-operation in Europe added that she will bring up the issue at the meeting with Ukraine’s Foreign Minister Pavel Klimkin in Basel on Thursday. 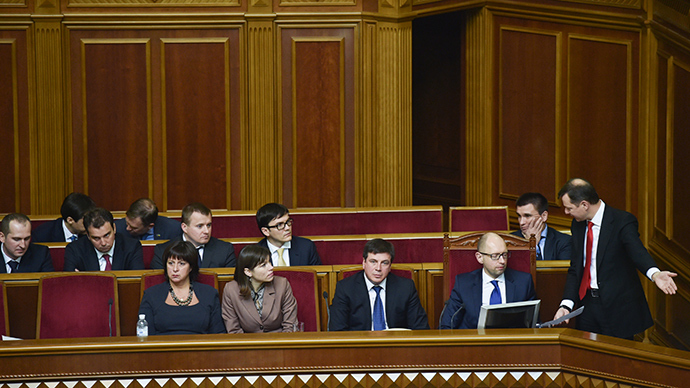 The creation of a new so-called Ministry of Information Policy was approved by Ukraine’s Parliament on Tuesday. The parliament appointed Yury Stets - head of the Information Security Department of the National Guard of Ukraine, close ally of President Petro Poroshenko and former chief producer of the TV “Channel 5” owned by Poroshenko - to head the ministry. Setting up the Ministry of Truth adds up to the feeling it's not right for a president to own any media. Anywhere. A number of MPs - mostly former journalists - did not vote as they opposed the creation of the new government authority. The proposal has prompted an international outcry from journalists alarmed by the move. On Wednesday, The European Federation of Journalists and International Federation of Journalists warned that these plans will further stifle media freedom in Ukraine. The federations have called on Kiev to respect the rights of journalists and revoke its decision to create the new ministry. “No further action should be taken without full consultation of the Ukraine media community and journalists unions,” said IFJ/EFJ. Following the announcement of plans to create such an authority, Ukrainian journalists and activists staged protests outside the parliament building in Kiev. Protesters carried placards citing Orwell’s ‘1984’ that read “Hello, Big Brother." Former journalist turned MP Sergey Leshchenko present at the vote protested in the parliament’s walls holding a poster that read: “Stop censorship! Journalists against the Ministry of Truth." 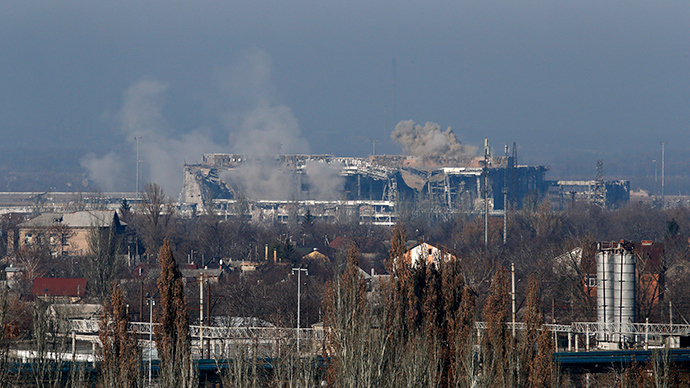 I doubt the newly created ministry of information policy can help Ukraine win the war. So the Q is: how govt is gonna use this tool then? Media and social networks filled with criticism, while some posted tweets with the famous ‘1984’ quote “Big Brother is watching you”. 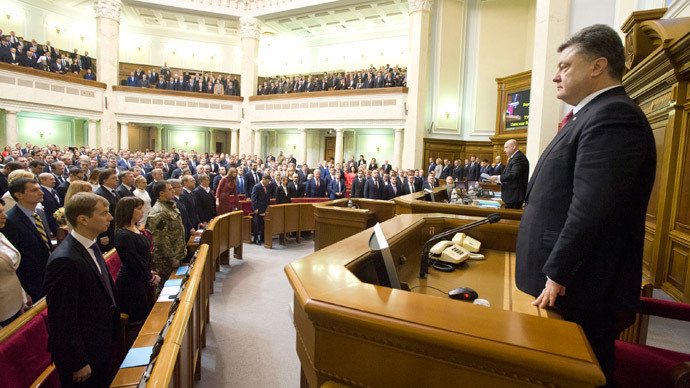 Some called Poroshenko’s move fascist-like. “You cannot win the information war with it, because with the creation of the Ministry you'll give Russian propaganda endless references to [Nazi Minister of Propaganda Joseph] Goebbels and Orwell." Many are alarmed, including the media watchdog Reporters Without Borders which said it firmly opposes the planned creation of a Ukrainian information ministry. “Putting the government in charge of ‘information policy’ would be major retrograde step that would open the way to grave excesses,” Reporters Without Borders secretary-general Christophe Deloire said on Tuesday. Journalist organizations and individual journalists have also voiced deep concern that this decision was taken without a public debate. In response to wide criticism, on Wednesday, Stets assured that the ministry will neither introduce censorship nor influence freedom of speech in Ukraine. Reportedly Stets also promised to refrain from introducing registration for online media. 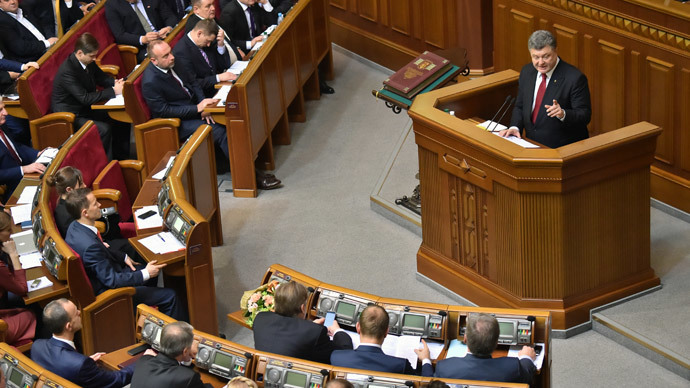 He outlined the ministry’s objectives as “promoting Ukraine’s international image” and “opposing Russia’s media aggression”, as well as “preventing external influence” on Ukraine’s media sphere. "I see it this way: different states with different historical and cultural experiences in times of crisis came to a point where they needed to create a body of executive power that would control and manage the information security of the country," Stets wrote on his Facebook on Monday arguing that none of present state structures could deal with the tasks. On Wednesday Stets also promised a public debate and “talks with our international partners” before introducing a draft on the ministry’s activities to the government.